In an era when women like Sarah Palin are calling themselves feminists, there is renewed debate about who gets to be in the club and who doesn’t, and who has the power to decide. Can conservative women who have benefited from the gains of the women’s movement while resisting the fight for reproductive rights, gay marriage and other women’s equality issues truly be considered feminists? The campus community is invited at 7 p.m. Tuesday, Oct. 26, to “The Palin Paradox: The Rise of Conservative Feminism” and an engaging discussion with third-wave activists and authors Jennifer Baumgardner and Amy Richards, as they share their thoughts on the changing face of feminism. This program will take place in the Carl Sandburg Auditorium of the Holmes Student Center. 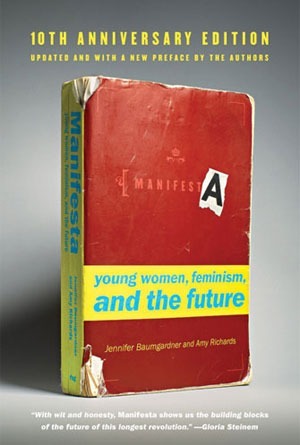 Baumgardner and Richards co-authored “Manifesta: Young Women, Feminism and the Future” (2000) and “Grassroots: a Field Guide for Feminist Activism” (2005), and both have authored books individually. This event is sponsored by the Women’s Resource Center, Women’s Studies, Department of History, Department of Communication, Campus Activities Board, University Bookstore, Housing and Dining, Presidential Commission on the Status of Women, Presidential Commission on Sexual Orientation and Gender Identity, Center for NGO Leadership and Development and the Department of Sociology. This event is free and open to the public. For more information, contact the Women’s Resource Center at (815) 753-0320 or e-mail women@niu.edu.